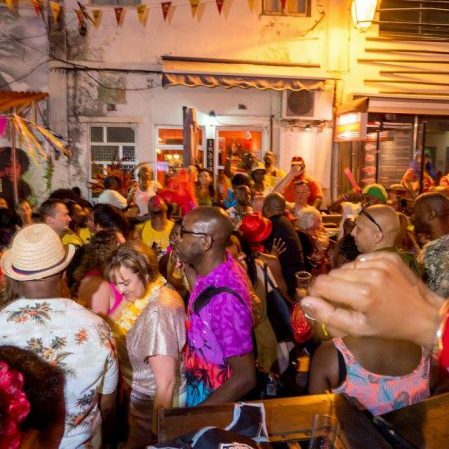 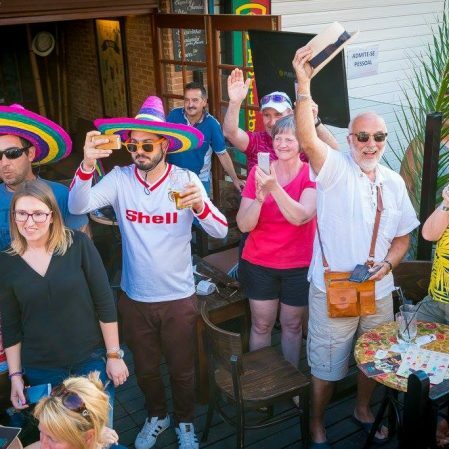 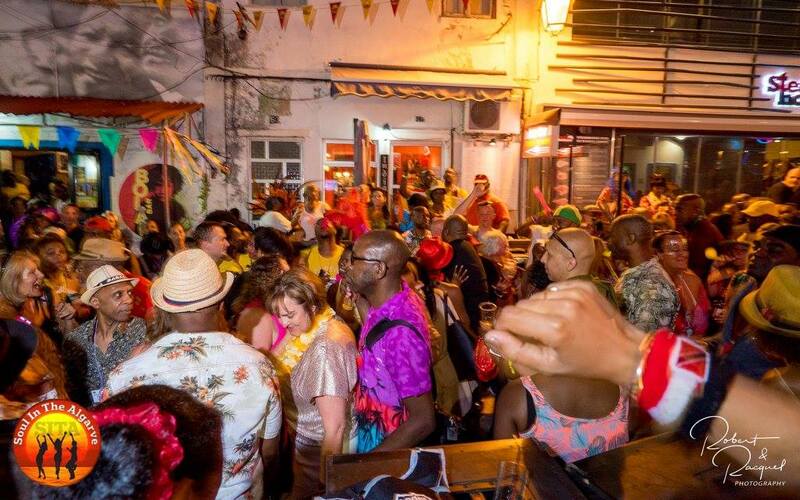 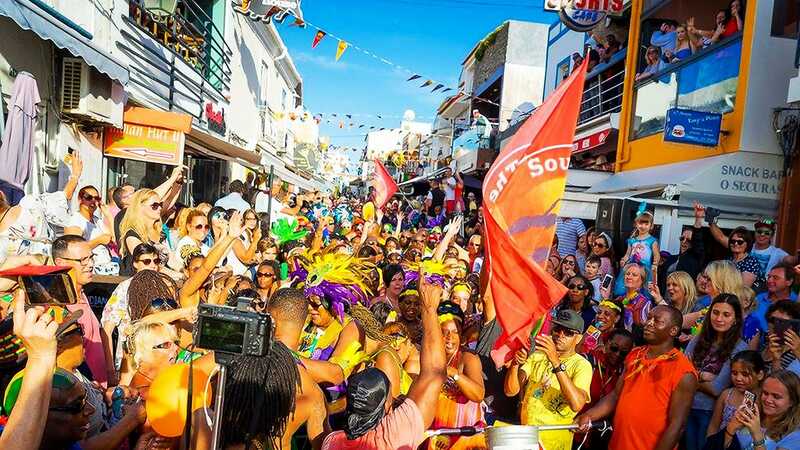 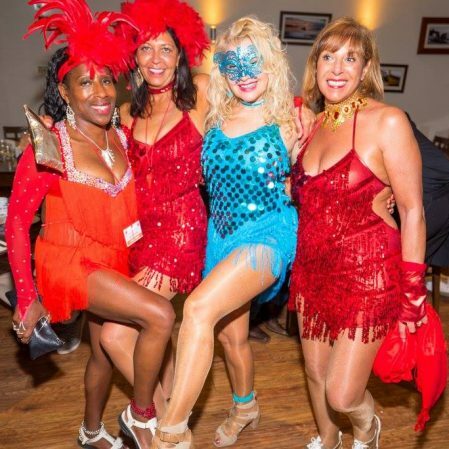 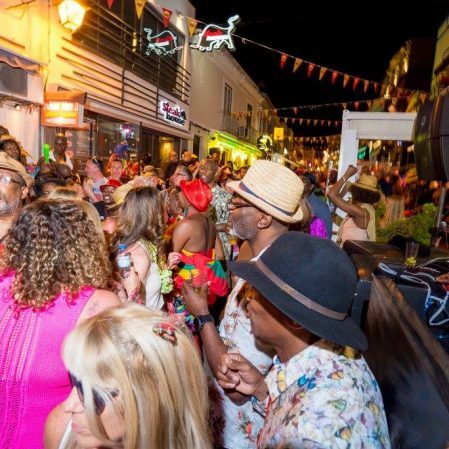 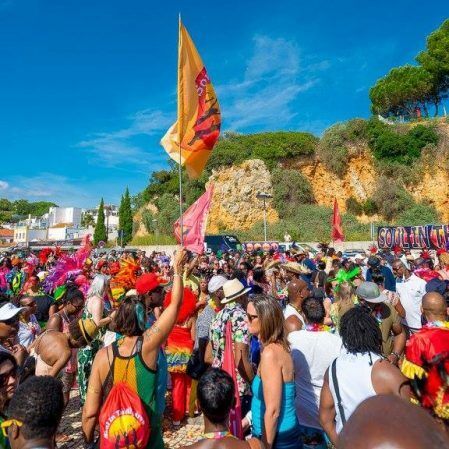 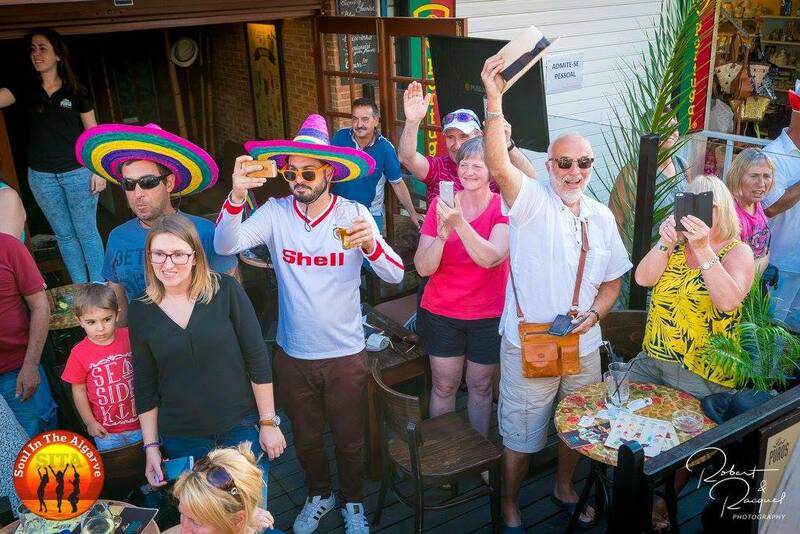 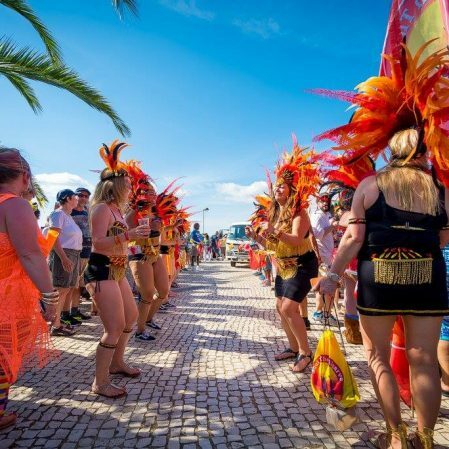 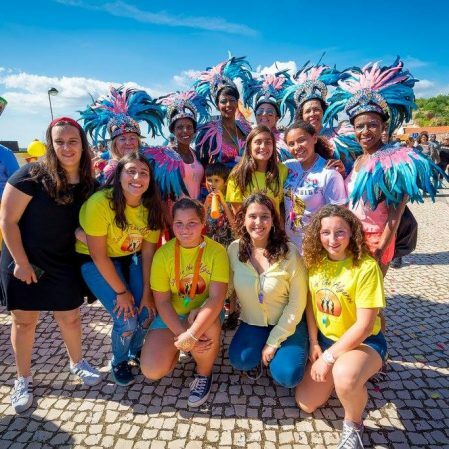 SITA Carnival is one of the most talked about events of the week, at Soul in the Algarve , by both Soul in the Algarve attendees & locals alike. 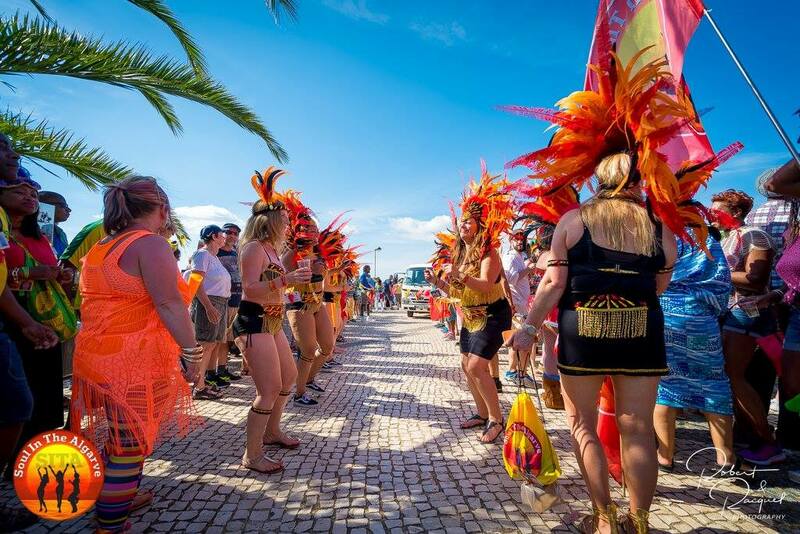 We dress up in Colourful Costumes and we parade through the cobbled streets of the beautiful fishing village of Alvor. 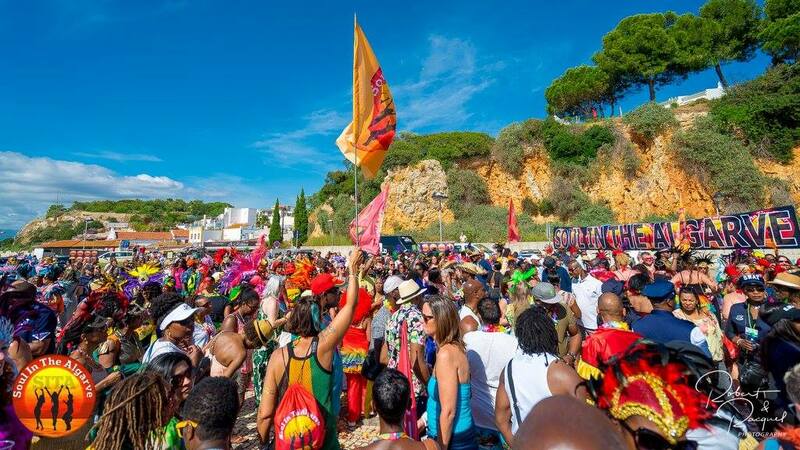 We are the procession not the spectators. 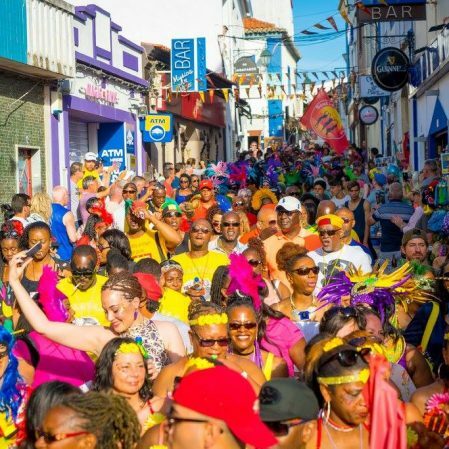 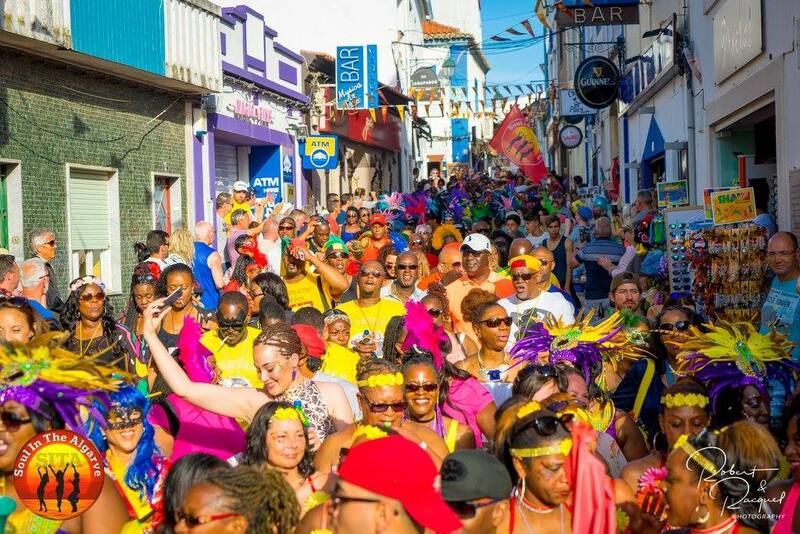 People travel far and wide to watch the SITA Carnival. 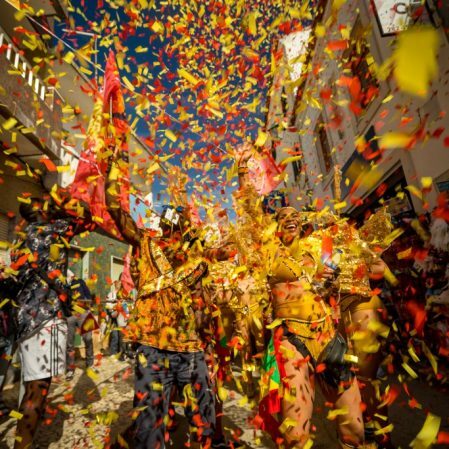 Its a Day NOT to miss. 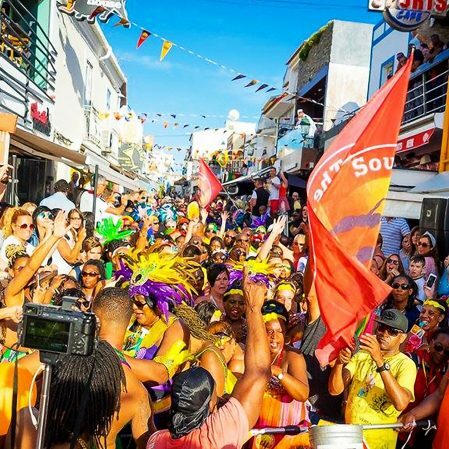 Its an Amazing Atmosphere. 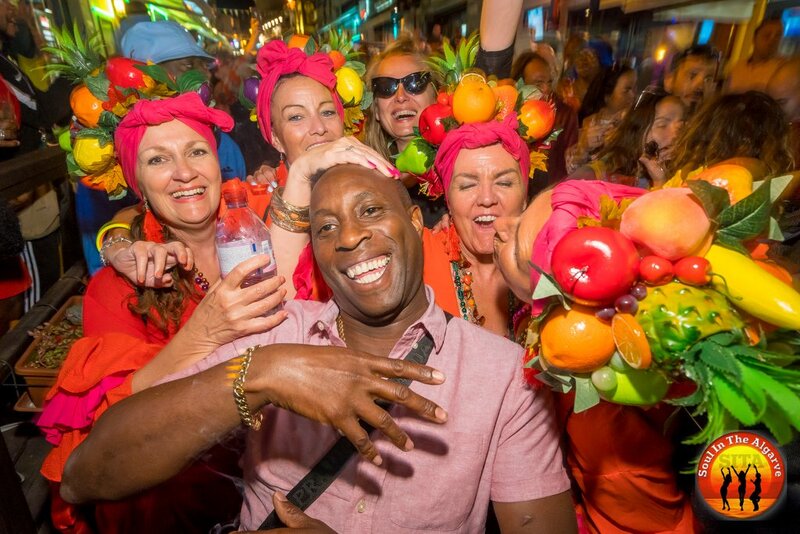 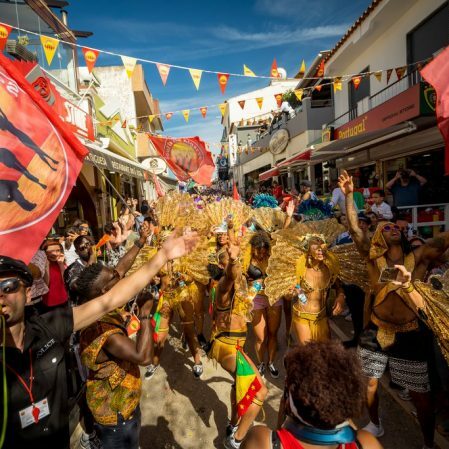 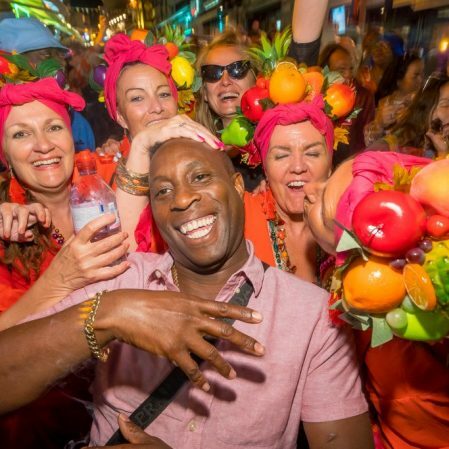 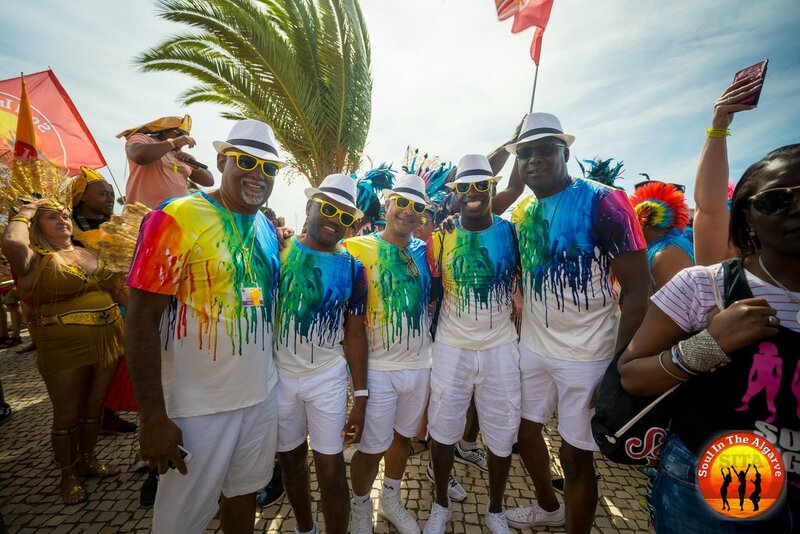 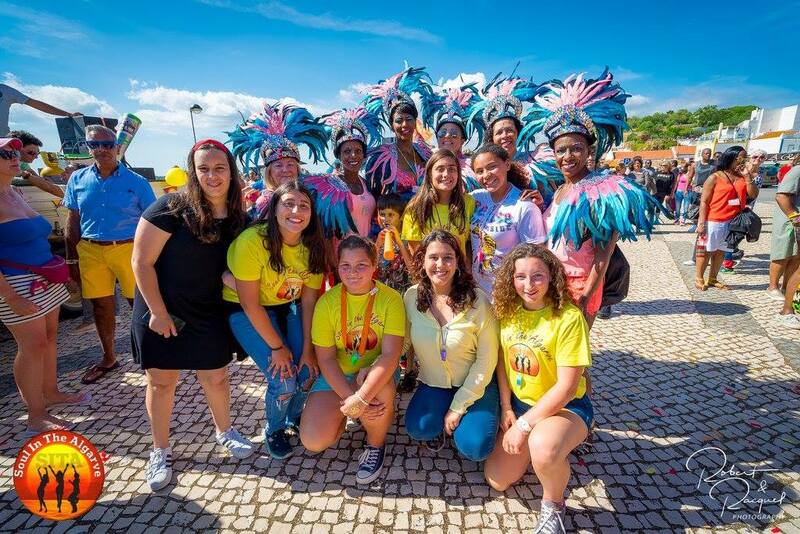 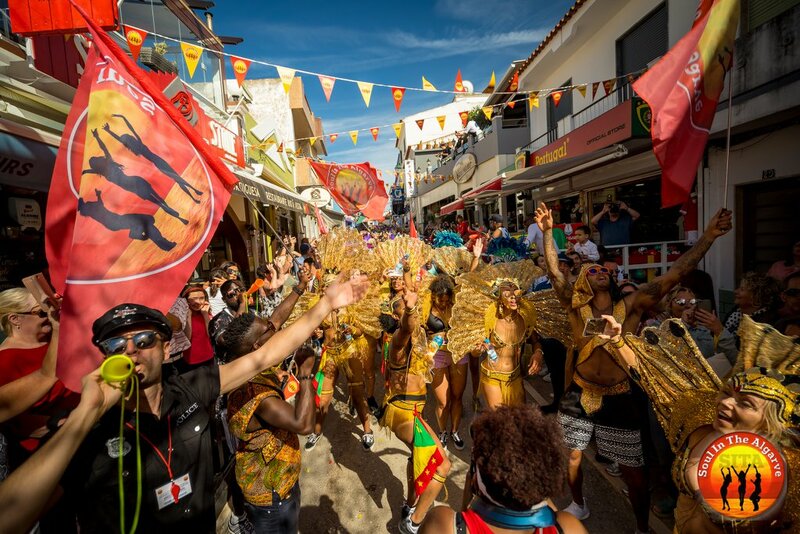 The first SITA Carnival was in May 2015 and was created by Vivy B to celebrate 10 years of Soul in the Algarve. 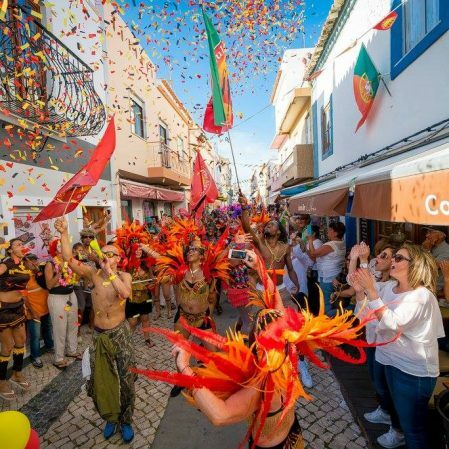 Since that day we have not looked back & the SITA carnival is now a hugely celebrated annual event in the beautiful fishing village of Alvor. 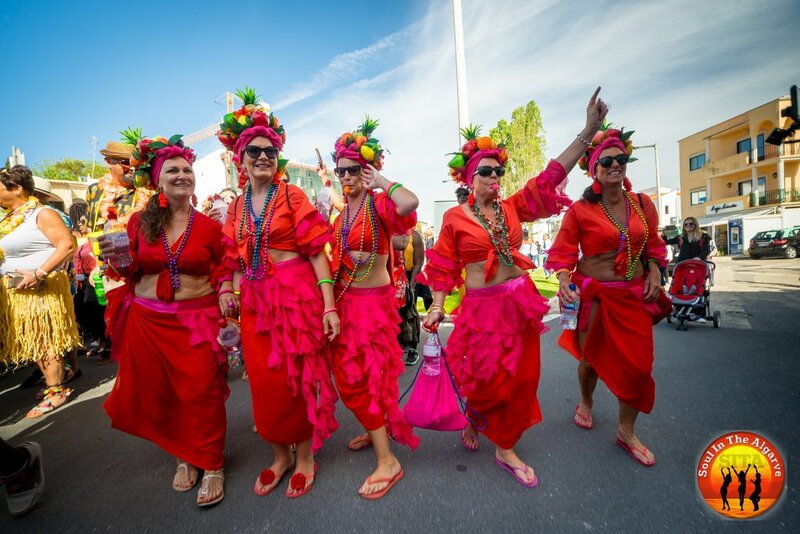 We dress up in colourful Carnival costumes & parade. 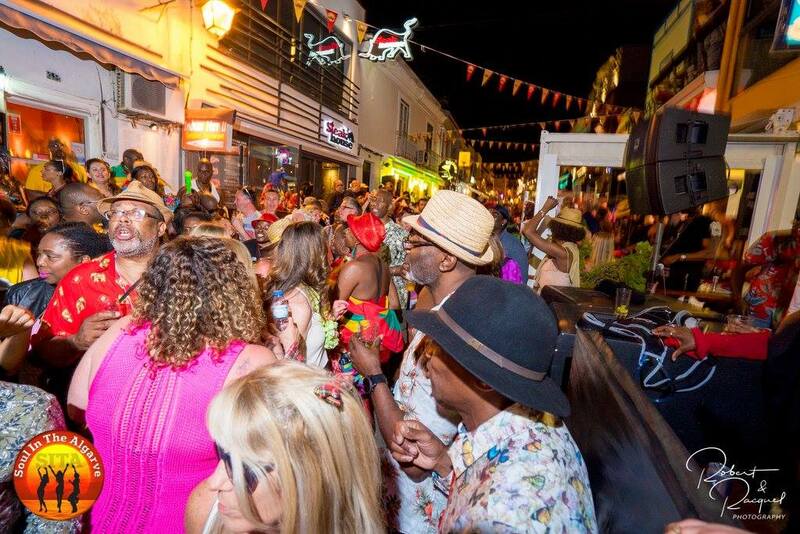 We put this event on to say Thank you to the people of Alvor for welcoming us back each year. 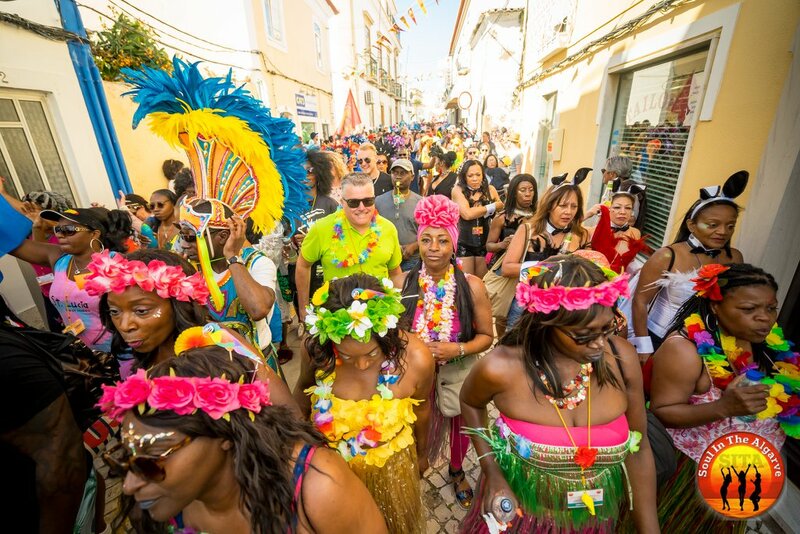 This is our very own Soul In The Algarve Carnival & we are the procession NOT the spectators! 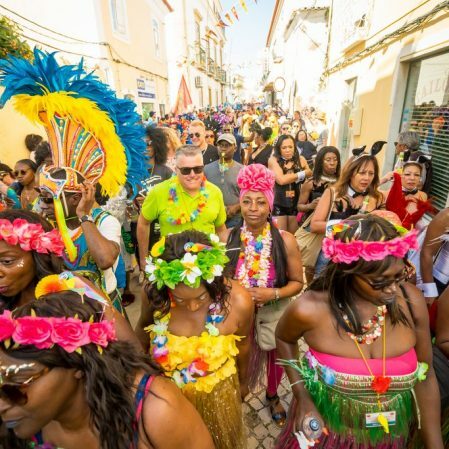 So colourful clothes & carnival costumes are a MUST!! 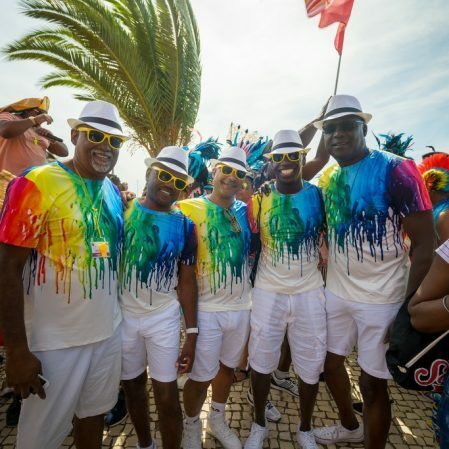 for this day. 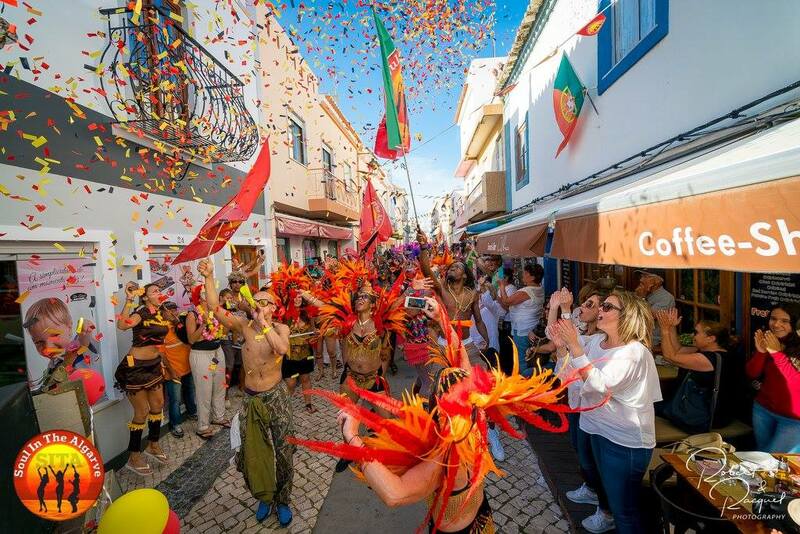 SITA Carnival is now a much anticipated event by the Portuguese locals. 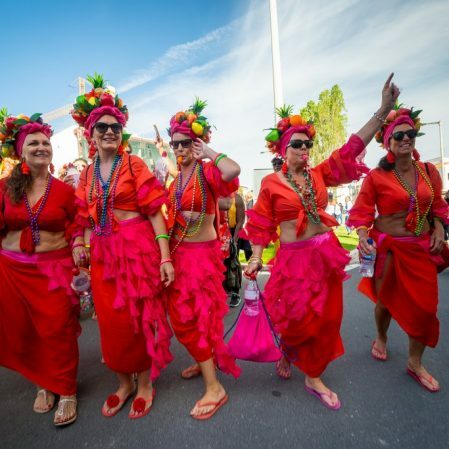 This is so much fun and a Day NOT to miss. 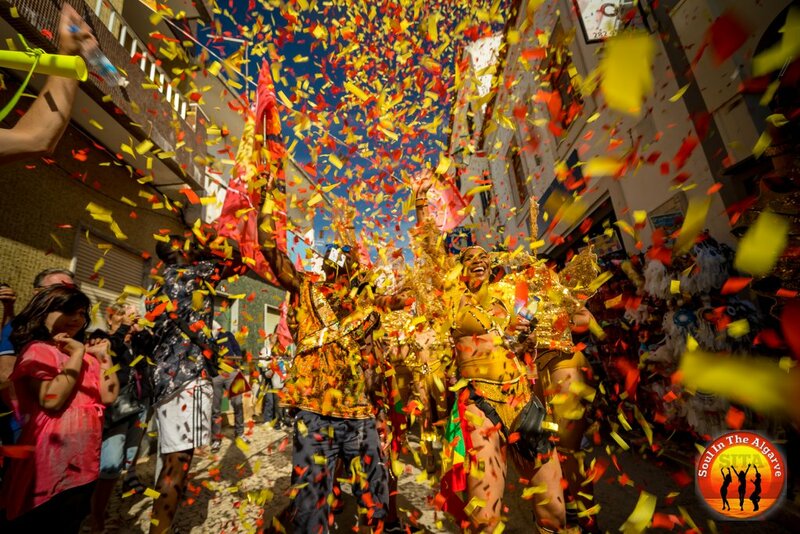 Its an Amazing Atmosphere.